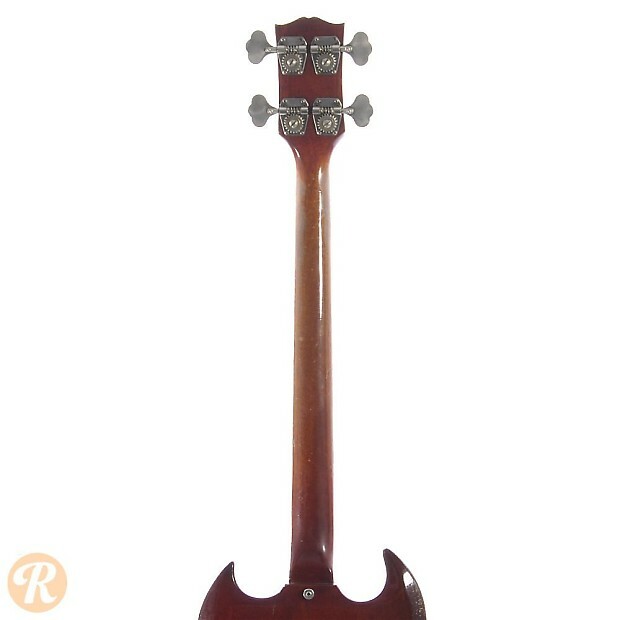 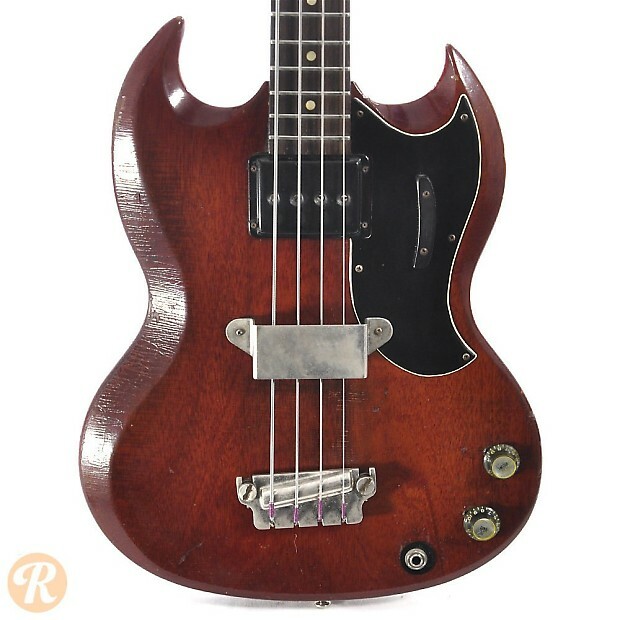 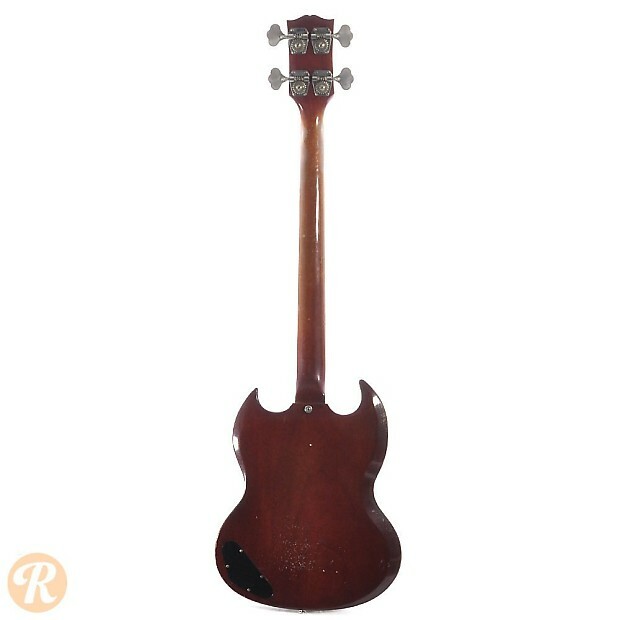 Originally introduced with a slab Les Paul Junior-style body, the Gibson EB-0 evolved to an SG-shaped bass by the early '60s. 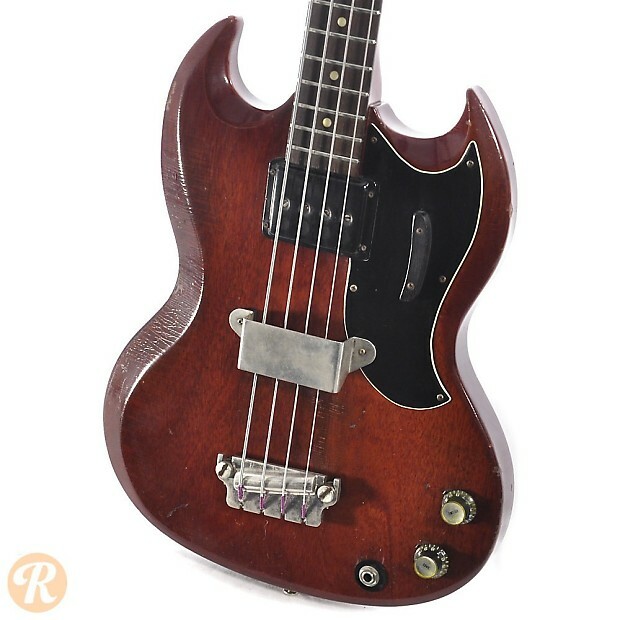 This bass featured a short scale length and a single fat humbucker pickup. 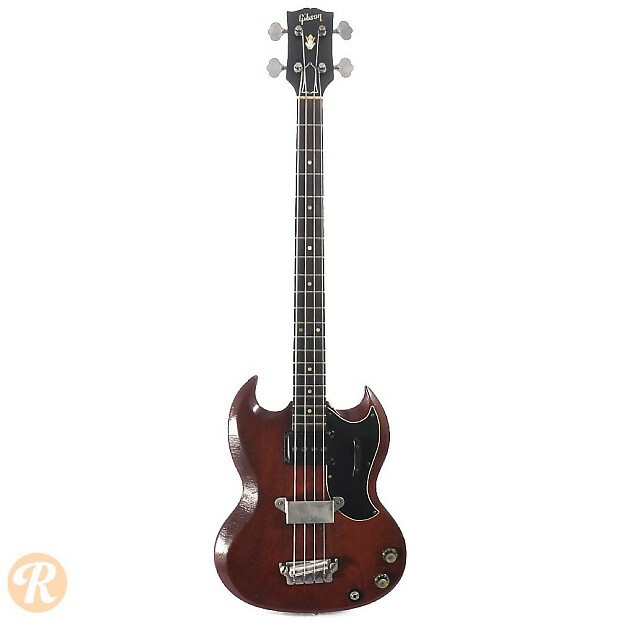 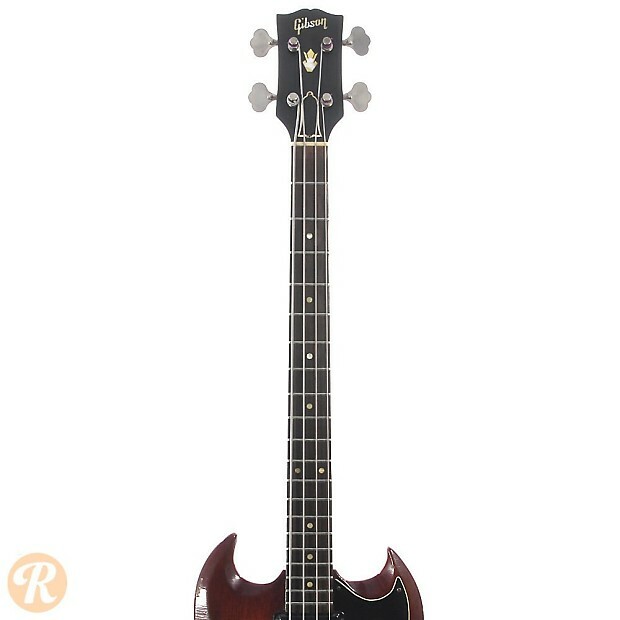 Gibson also released a dual pickup version of this bass as the EB-3. 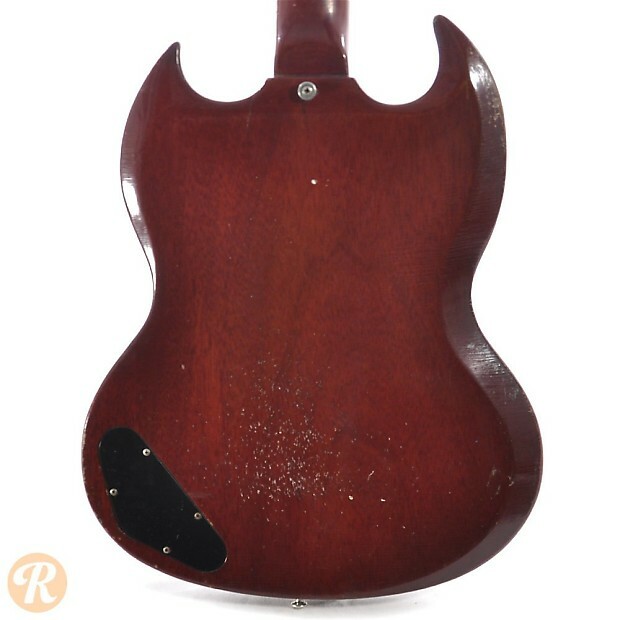 Finish Specifications: Cherry Red was the only standard finish offered on the EB-0 until 1971.